As a Top Producer, Lois Potratz is ranked among the top 2% of real estate brokers in the country. A multi-million dollar producer, she has been a top agent since her start in real estate in 2003. 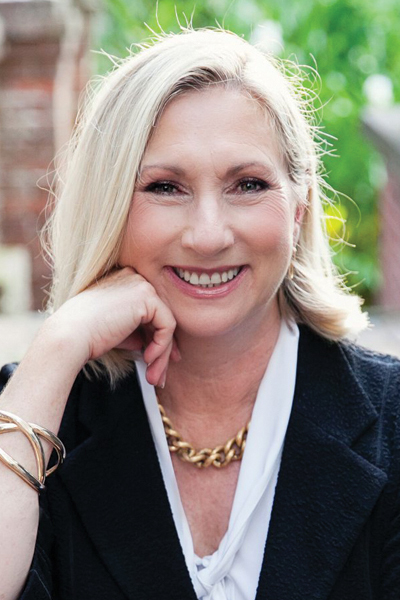 Lois has utilized the power of her brand, her strong networking ties, and her skills built through a diverse professional career in her real estate business. After working as a theatrical designer in New York City, an agent with Ford Models Inc., traveling as spokesperson for Oil of Olay, working for WWAY-TV3 as a creator, host and producer, and raising a family, Lois has found her niche in real estate. She couldn‘t be more enthusiastic in the Wilmington market, a place she has been proud to call home since 2001. Having moved a lot (to three countries, seven states, and fifteen cities! ), Lois knows how hard it can be, and how to make a relocation as seamless and easy as possible for others. It is not just about finding a house...there will always be a house. A successful relocation is about finding ways to connect the person or family with their new community. That is when a house becomes a home. The mother of two daughters, Lois is knowledgeable on local schools and can help relocating families find a beautiful home near the private or public school that would be a great fit for their children. A move to a new city involves a whole new set of “go to” people: handymen, hair stylists, physicians, babsitters, veterinarians...and the list goes on. Lois has a list of excellent professionals she has gathered over more than a decade, and ensures each client has this support network to aid in the transition. In addition to her family and real estate, Lois also has a passion for childrens causes. She is highly involved in several charities supporting children in need, serving as the chair for a fund raiser for UNC Childrens Hospital and on the advisory committee for Intracoastal Realty’s Teacher’s Fund.